Is Ilhan Omar’s Mentor the Iranian Supreme Leader Ayatollah Ali Khamenei? Representative Ilhan Omar (D-MN) has gotten herself into repeated hot water for attacks on Israel and its supporters, as many people have viewed her comments as anti-Semitic. She is emblematic of a new group of alt-left politicians who squarely focus on Israel and any of its perceived misdeeds. 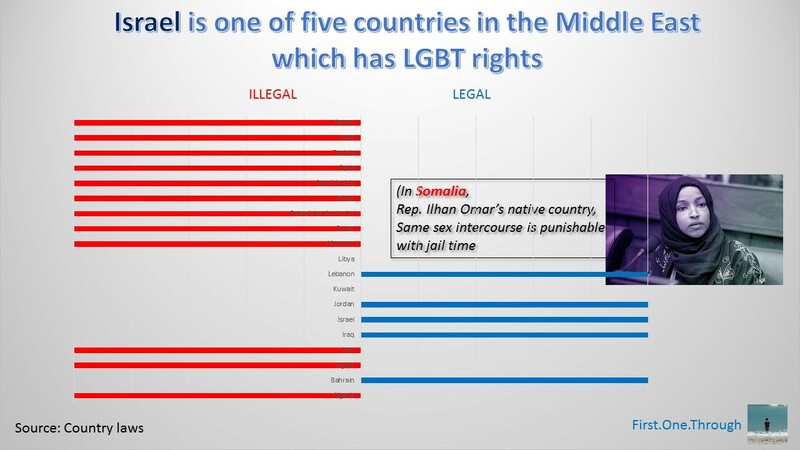 It is a curious phenomenon, not only because Israel is the most liberal country in the Middle East / North Africa (MENA) region by far, but that people like Omar pay no attention to their native countries as they attack Israel. Consider an important point for progressives – the death penalty. 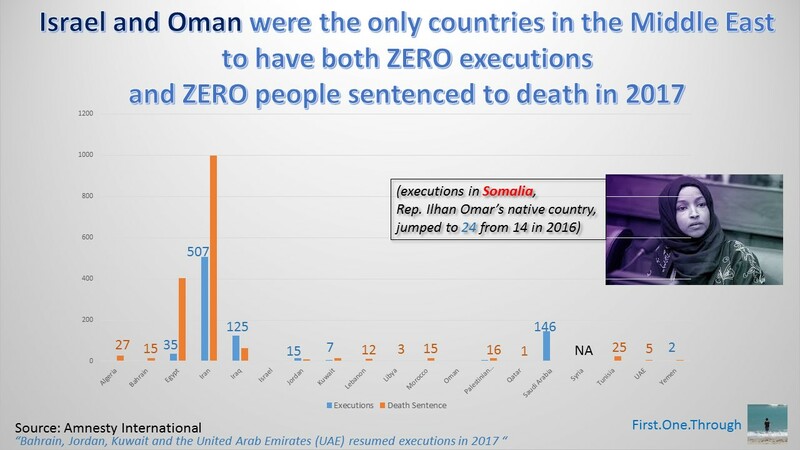 Only Israel and Oman had zero executions and zero people sentenced to death in 2017 among the MENA countries. In Omar’s native Somalia, 24 people were executed by the government, almost double the total of 14 in 2016. Israel is one of only five countries in MENA in which being gay is legal. In several countries, such as the Islamic Republic of Iran, being gay is a capital offense, with most gays hung from cranes in the center of the city. In Ilhan’s native Somalia, being gay is punishable with jail time. The dynamic is much the same regarding women’s rights. 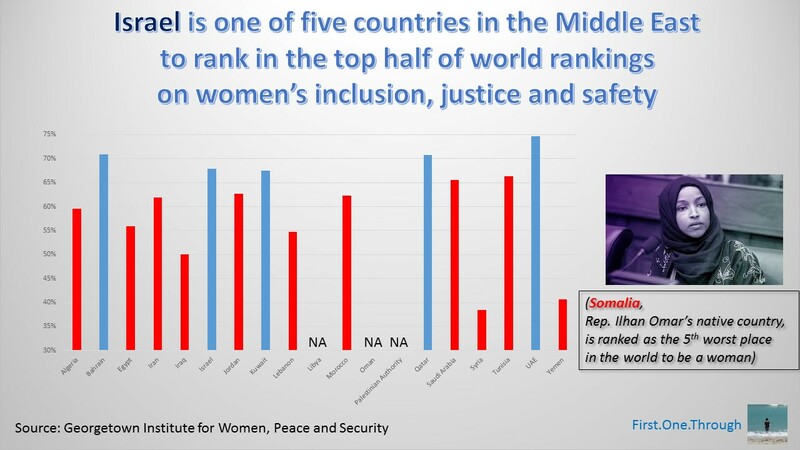 Israel is one of only five MENA countries that score in the top half of the world’s rankings for inclusion, justice and safety for women. Ilhan’s native Somalia is ranked as one of the worst countries in the world for women. It is estimated that 95% of females in Somalia have forced genital mutilation. It is ranked as the worst country for maternal health. The problems for Somalia continue. It is ranked as number 180 out of 180 by Transparency International Corruption Index, the worst country in the world. Israel ranked as number 34 out of 180, in the top quintile. Somalia is considered the worst countries to be a journalist according to the Global Impunity Index of 2017 – worse than even Syria and Iraq. 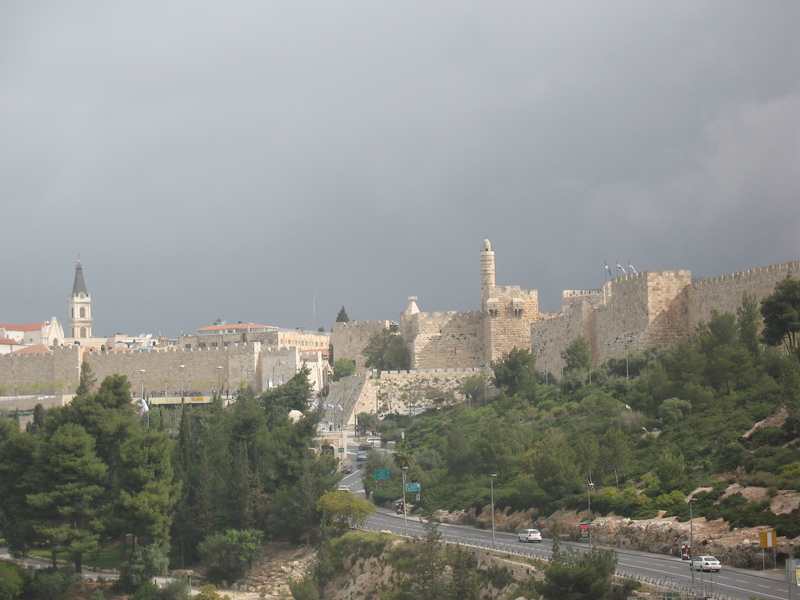 Regardless of the issue – gay rights, women’s rights, environmental matters, animal rights, freedom of speech, press and religion – Israel performs better than its neighbors. It is in a completely different league than Somalia which is one of the worst counties in the world by every measure. So why would an immigrant from Somalia to the United States focus so much of her attention on a small country thousands of miles from the United States? Why would a new member of Congress not be concerned with her failed native land? Is it in her constituents’ interests for her to be admonished by fellow Democrats for an obsessive focus on Israel? As detailed in “Rep. Ilhan Omar and The 2001 Durban Racism Conference,” many Arab and Muslim countries – and their supporters – believe that Israel is an inherently racist enterprise, built on the ethnic cleansing and genocide of Palestinian Arabs and the theft of Muslim holy lands. They believe that the supporters of such evil regime – the United States being the most powerful – are either evil and racist themselves (like Donald Trump), or are being manipulated by Zionist forces. All of Ilhan Omar’s comments to date seemingly support this viewpoint: the Jewish State is racist and that pro-Zionists are racists and/or are manipulated by racist puppet-masters. 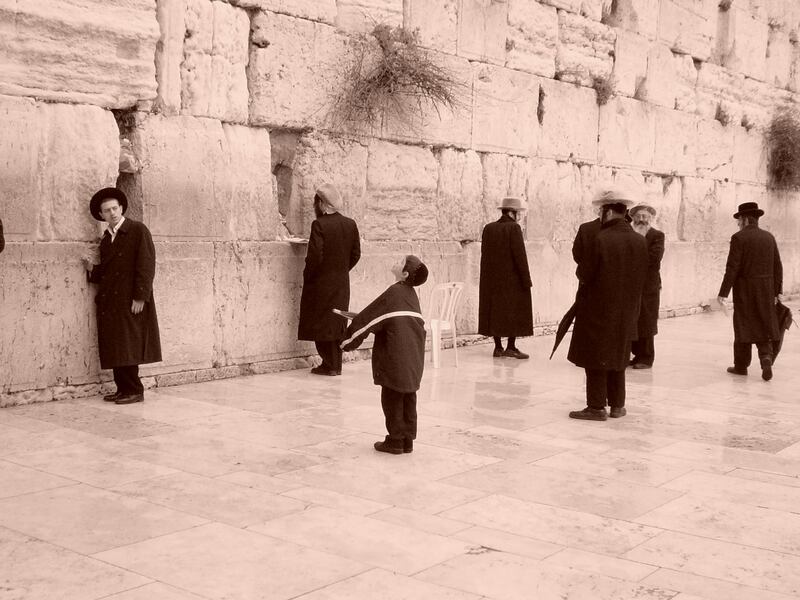 Sounds pretty anti-Semitic, no? No one will ever claim that anyone or any country is perfect; that’s the beauty and shame of being human. In being flawed, there is always room for improvement. Constructive criticism from a friend is an important part of growing. 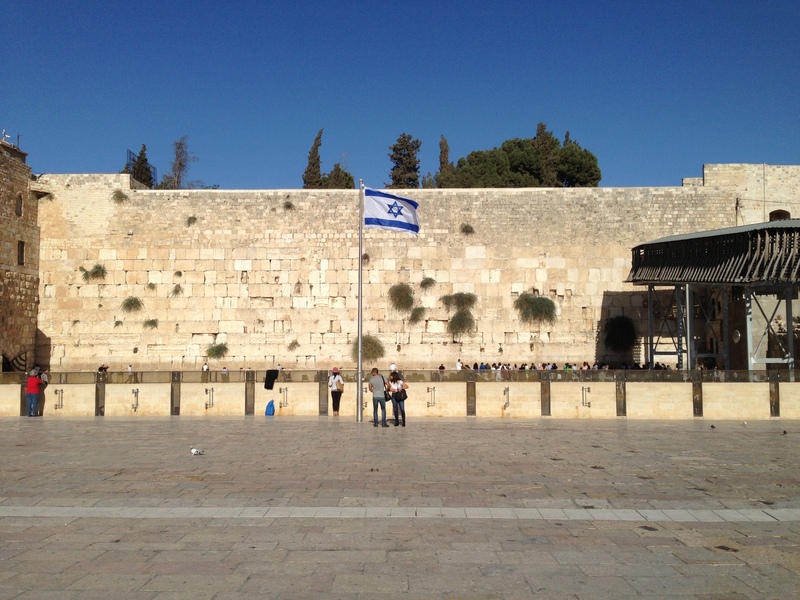 People who love America want America to be better, and people who love Israel want Israel to be better. However, what is most unwelcome is for someone with no connection and no relationship to the country and who hasn’t shared a positive word, to chastise it on a global stage and urge for punitive actions. How much hatred must such a person harbor to go out of their way and ignore much worse and more immediate issues, to assault a people who have been subject to more hatred and attacks than any people on earth? Omar tweeted in August 2017 “Syria’s Assad has become an icon of the far right in America,” suggesting that some Americans were interested in murdering hundreds of thousands of their fellow citizens. She cannot be surprised if some of her fellow Americans who proudly support the Jewish State compare her and her alt-left comrades to the Iranian Supreme Leader Ayatollah Ali Khamenei, who seeks a new Muslim Caliphate and the destruction of Israel. This is the echo of Omar’s own words. This entry was posted in Israel, Jews, USA and tagged anti-Israel, Ilhan Omar, Iran, Israel, LGBT, Somalia, women's rights by First.One.Through. Bookmark the permalink.